Home | Ken Cooper Roofing Inc. It's really about you. 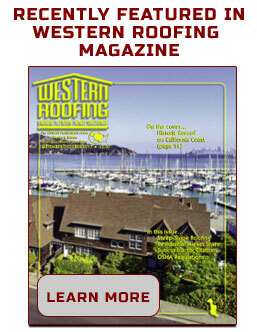 Weve been satisfying roofing and gutter customers in Marin, Sonoma and San Francisco Counties since 1973. We have hundreds of homeowners who've been highly satisfied with our quality work, service and very competitive prices. Check out our Projects page to see some of our finished work! Ken Cooper Roofing & Gutter Systems has the knowledge, experience and a customer-first approach to service for all of your roofing and gutter needs. We pride ourselves on our workmanship, quality of materials, and professionalism in every job we do. Our friendly staff, starting with founder and principal Ken Cooper, is ready and eager to reduce the natural anxiety you might experience when tackling such a large home reconstruction project. In fact, assuring your comfort is one of our top priorities. We want you to be as informed as possible when making your roofing or gutter system decisions. Whether its selecting the right material, getting estimates or checking references, were here to provide you with honest answers to all your roofing questions. Our reputation demands we do no less. Thats our commitment to you. Do you need a new roof Call Now! Specializing in new roof installation in San Rafael. Certfied, educated and trained on the installaiton of multiple types of roofing systems. Custom seamless gutters made on site to fit the exact dimensions of your home. Each gutter is maticlously measured to fit your home like a glove. Complete Installation of Free New Roof For Novato Family. We completed the installation of a free roof for a Novato family who first found out about the No Roof Left Behind through Patch. Ken Cooper Roofing is the first California roofing company to have installed a roof under this national program.